While the quality of floorcovering products is essential to longevity, even more important is the quality of the installation. At NeoCon 2017, INSTALL and Roppe will emphasize the value of certified installation through live, daily flooring demonstrations. As the largest commercial interiors show in North America, NeoCon will be held at Chicago’s historic Merchandise Mart from June 12-14. The INSTALL and Roppe demonstrations will be located on the 7th floor at the Interiors + Sources Materials Pavilion. This series of dynamic demonstrations will occur throughout the day Monday and Tuesday of the show. With INSTALL’s floorcovering expertise, a fashion-forward design will be brought to life in an 8’ x10’ space. 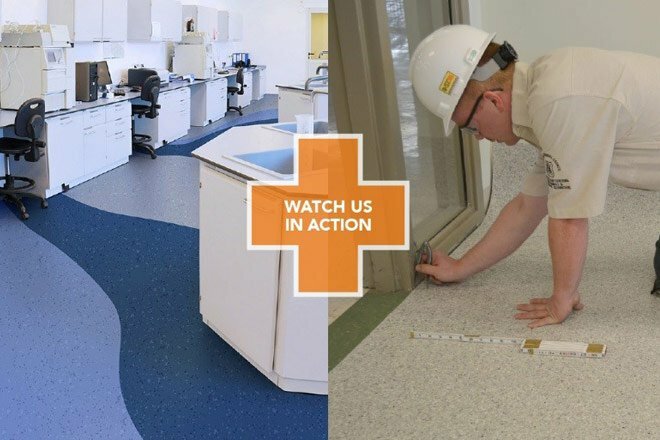 INSTALL, the leading floorcovering training and certification program in North America, and Roppe, a leading floorcovering manufacturer, will showcase new and innovative installation techniques with Roppe’s newest products. Envire™ Rubber Sheet & Tile: designed for natural resilience, exceptional wear resistance and dimensional stability for high-traffic areas. Contours Profiled Wall Based System™: combines a wood base look with resilient base advantages.